The tools of our trade are our cameras. We have recently made a major investment and upgraded our three main cameras. Our dance show filming uses three cameras as standard, so when we looked into to the upgrade we knew we had to do all 3 at the same time. 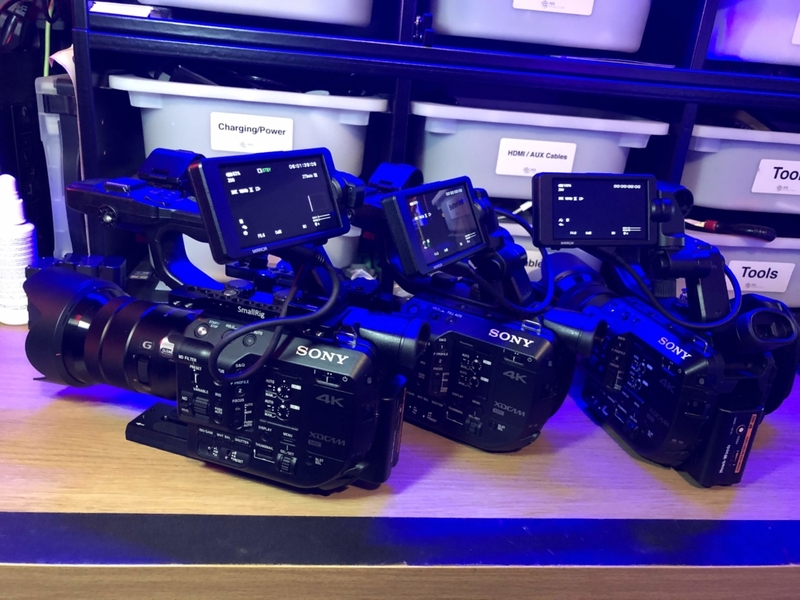 We looked at several models and in the end we went for the Sony PXW-FS5. The new kit allows us to increase the quality of our work, with the ability to shoot 4K if required. The cameras also allow us to have a more useable shoulder mount style system for some of our corporate work. The camera is very modular also which allows us to create the perfect setup for the type of job we are on. This is a major investment for us, but something we had planned to do to make sure the kit we use is of the best quality and reliability. We will retire the old cameras, but we will have them as backups which always gives us an option if needed. So make sure you look out for the new shiny kit on the next job!